If the Twin Cities gave out an Employee of the Month award, I'm pretty sure Vicki Potts would have won it several times over. The owner of and face behind the counter at the Grassroots Gourmet booth in Midtown Global Market, this woman is committed to her work on every level. A transplant from California many years back, Vicki’s upbringing by a mother who bought her groceries primarily from the small farms near which she lived inspired Vicki to create a business centered on local products. "Midtown Global Market is about food and goods from around the world, and the world includes your backyard, so I think it makes sense to be here," she explained. 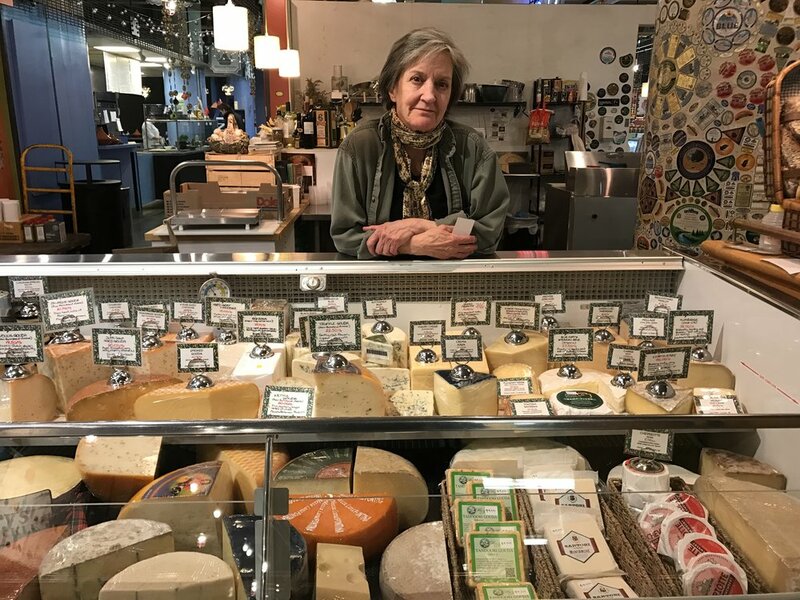 Her booth is stocked with every specialty food item imaginable, from local soda to pasta to cheese and meat and candy and hot sauce (including Isabel Street Heat, who Vicki nominated for my next post). 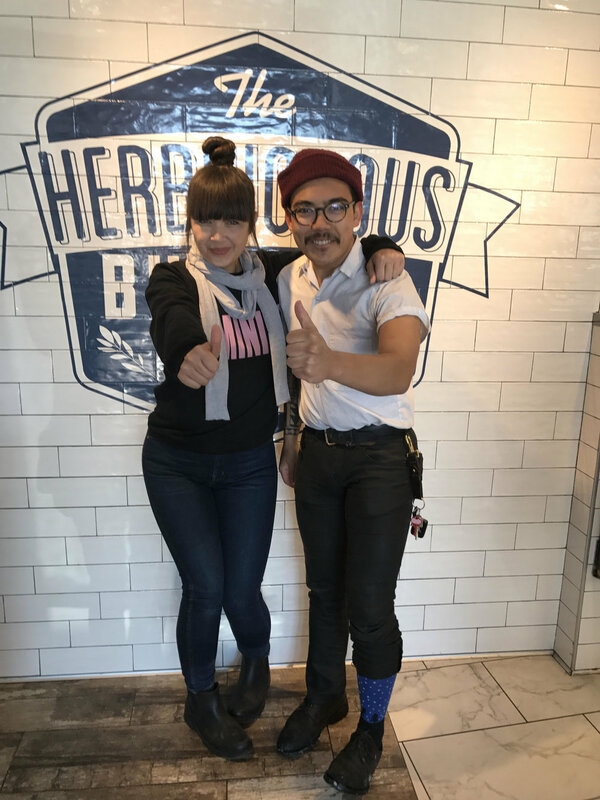 “I just like really clear, straightforward flavors,” she explained. “It’s not like I ever felt like I had to eat that way, it’s just what I enjoy and enjoy sharing with others.” Her booth gets especially busy when the lunchtime crowd passes through. 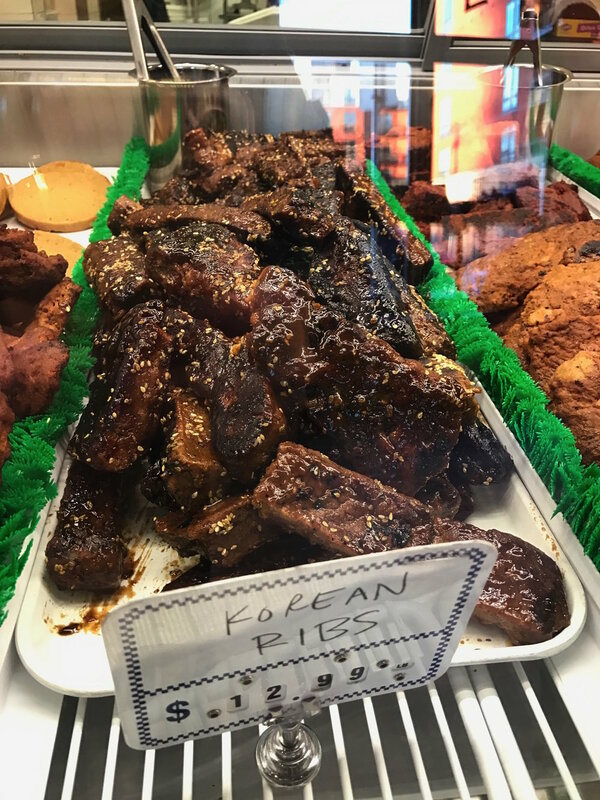 Tucked in the heart of Midtown, Minneapolis, Midtown Global Market is perhaps the hippest spot in an area many would consider to be much less than hip. Vicki lives just across the street from the market—a good thing, considering she staffs her booth 7 days a week—and is very clear about her love for her community. In 1994, Brian Fredericksen bought an orchard near Watertown, Minnesota. He bought it not to farm apples, or honey, as one might suspect--but to use as land on which to dogsled. A 3M engineer at the time, Brian thought the property would be the perfect place to exercise his hobbies. He had a vision of one day turning the land into a food farm, and when he became worried he would kill one of the two beehives that came with the property, he began to teach himself about beekeeping. In 2001, Brian quit his job at 3M and began spending his days turning Ames Farm into what it is today--one of the premier honey farms in the United States. Today, you can find Ames Farm honey in many Midwest retailers, as well as a large smattering of shops across the country. I asked Brian what factors he thinks were most helpful in growing his small, Minnesota start-up into a nationally successful company. "Co-ops," he immediately replied. "Minnesota has more co-ops than anywhere else. They're really unique to the Upper Midwest in many ways. 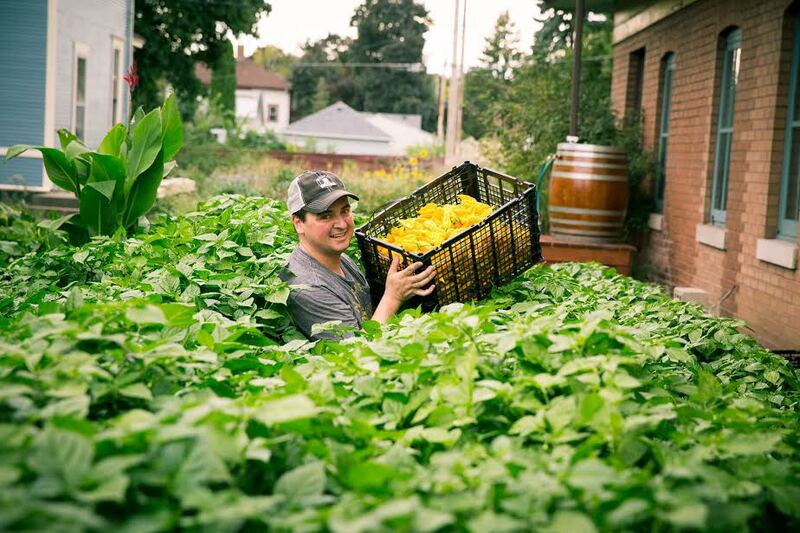 I'd attribute a lot of my success to being able to get my product into all the co-ops, and farmers' markets, too." Check out the map of where to find Ames honey here. Ames is well-known for procuring "single source" honey, meaning that each batch of honey comes from one of their 40 pound boxes of 9 combs, during one time period. "Other companies normally draw their honey from a larger pool over a longer period of time. I'm instead selling a seasonal floral snapshot from one hive. It may not be honey from a single flower, but it is from a single period in time." Some of the hives at Ames. Photo Cred: Ames Farm. Such attention to detail and quality doesn't come without a lot of hard work, though. "It takes us 4 months to process 400,000 pounds of honey. A commercial honey maker could process that amount in 5 weeks." But Brian and his crew at Ames, being the progressive that they are, are always coming up with new ways to advance their business and overcome challenges. Brian just recently got the required loan to build a new, two-story, old-style production building, which will greatly increase production capabilities and is incredibly energy efficient. Additionally, Ames will begin to focus more on "renting" hives out, meaning anyone who would like to install a hive on their property can, and Ames will lend the equipment and skills needed to ensure the hive is successful. They will also transport the bees with their own to Texas for the colder months. "Beekeeping doesn't just have to be done by some guy with a piece of hay in his mouth," explained Brian. "Every year hundreds of beekeepers will try to keep bees but maybe 80 percent will lose their hives due to lack of experience or finances. Renting, for those who can afford it, is becoming the sustainable solution." One unique shop at which you can locate Ames Farm honey is the Grassroots Gourmet booth in the Midtown Global Market--this is the business Brian nominated for my next post. "They sell only Minnesota-made products. It's a great local shop, and I encourage anyone I can to support Vicki (the owner) whenever I can." Stay tuned for an inside look at the shop! 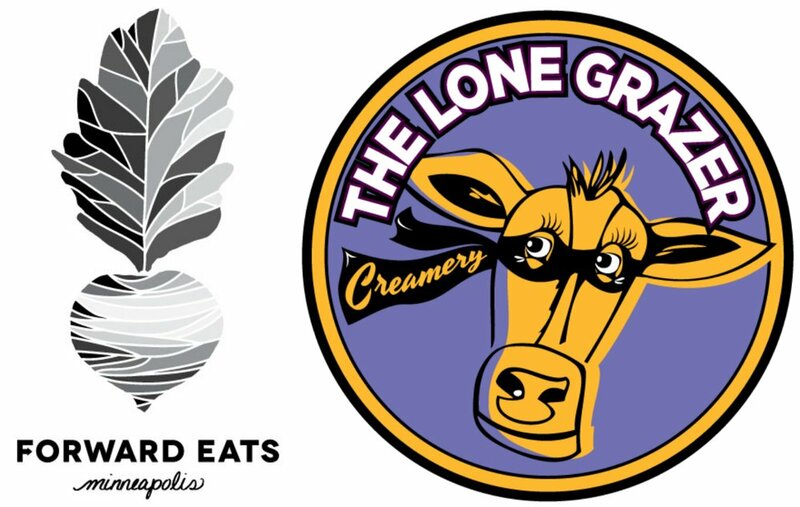 Forward Eats MSP: The Lone Grazer Creamery! When you give Minneapolis an artisan meat maker, it's going to ask for a local creamery to go with it. That's just what happened when Kieran Folliard, an Ireland-born local food entrepreneur, did when he realized the building his company Red Table Meat Co. operated out of had room for another business venture or two. 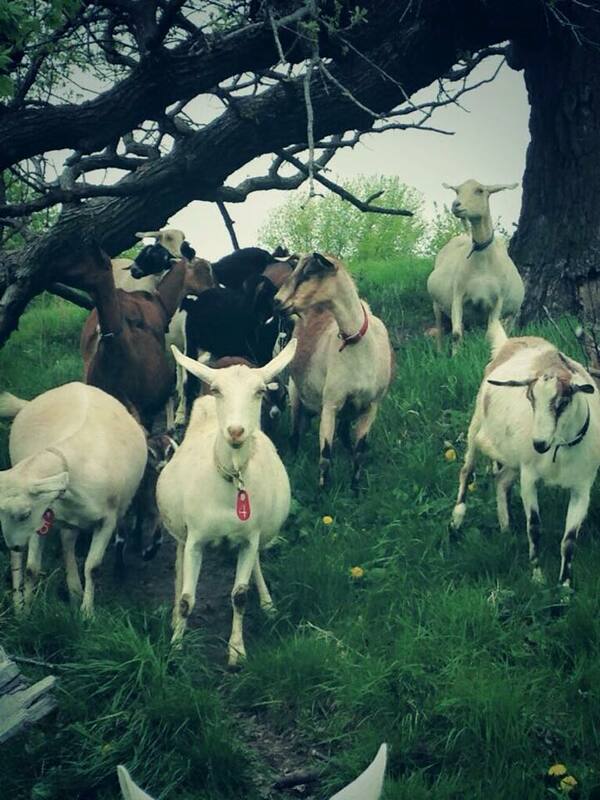 In 2015, The Lone Grazer Creamery, Minnesota's first urban creamery, was born. I chose The Lone Grazer Creamery for the first Forward Eats nomination because of their string cheese. It was the first product of theirs I tasted, and its pure, creamy flavor and fresh, almost squeaky texture transported me straight out of the dairy aisle of my supermarket and into a serene cow pasture somewhere in Minnesota. I later learned that 100% of the milk The Lone Grazer Creamery uses is grass-fed, and comes from either Sunrise Meadows Dairy Farm in Cokato, MN, or Corstar Farm in Litchfield, MN. When I discovered my new favorite sting cheese is crafted just a short drive from my apartment in Northeast Minneapolis-- in a facility that encourages anyone to come by for a self-guided tour-- I was enamored. The Lone Grazer Creamy was everything I believe good, local food to be: conscious, intentional, shared, and darn tasty. "The rising tide effect of Lone Grazer is so incredible," explained Tom Brossart, the Digital Architect for Food Building (the facility that houses Red Table Meat Co., The Lone Grazer Creamery, and most recently, Baker's Field Flour & Bread) when we met to discuss The Lone Grazer Creamery's nomination for Forward Eats MSP. "Not only can people who don't know what a creamy looks like take a self-guided tour, but we've also cultivated a community for local cheesemakers. People will come in and start a conversation about local farmers, or bacteria used in cheesemaking, or milk quality. Wisconsin is known for their cheese, but Lone Grazer is helping put Minnesota on the map as a great dairy state, too." So, by now you definitely want to stop in Food Building from 10-5, Tuesday to Friday to check out The Lone Grazer Creamery and its partner companies, right? If that's not enough, you can purchase their award-winning string cheese and other great products at any of these stores in Minnesota and beyond. 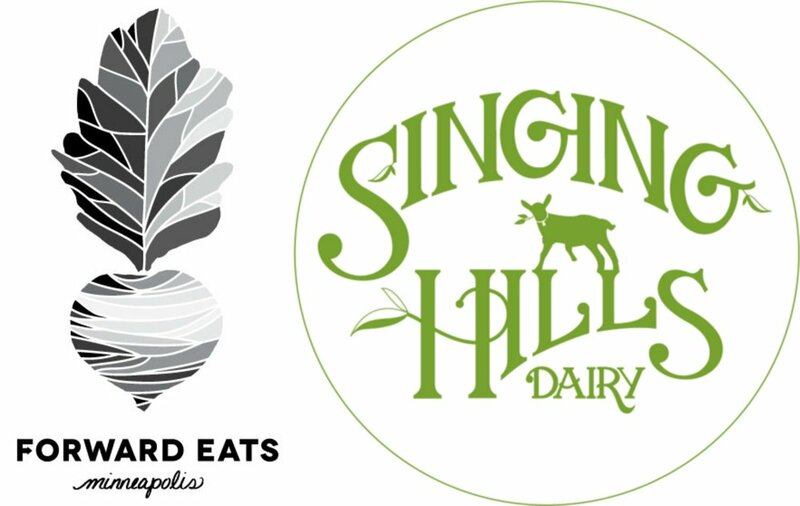 And now a drumroll please, for the local food icon that Tom and The Lone Grazer Creamery nominated for the next Forward Eats MSP post: "This business has been a great partner to The Lone Grazer Creamery and other brands in Food Building. They utilize local products in an intentional way. I nominate...The Curious Goat !" Stay tuned for an inside look on what goes on behind the window of this popular roaming Minneapolis food truck. 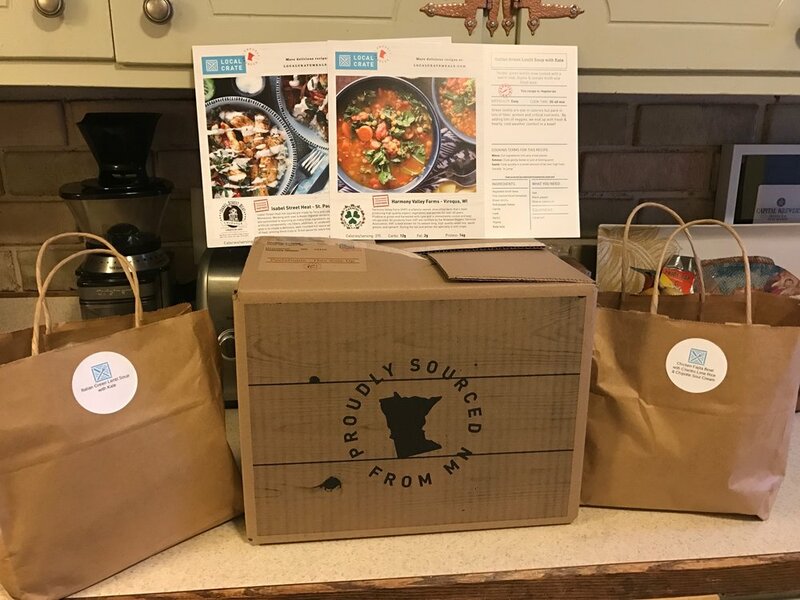 Forward Eats MSP: The Nominations are IN! The nominations are IN for the first ever Forward Eats MSP feature. Thank you to everyone who gave their input on a local food business or person making a difference in the Twin Cities community. This is an incredible list of really excellent local businesses, and I highly recommend you check out each one no matter who is chosen! I know I am eager to visit the three I haven't yet! 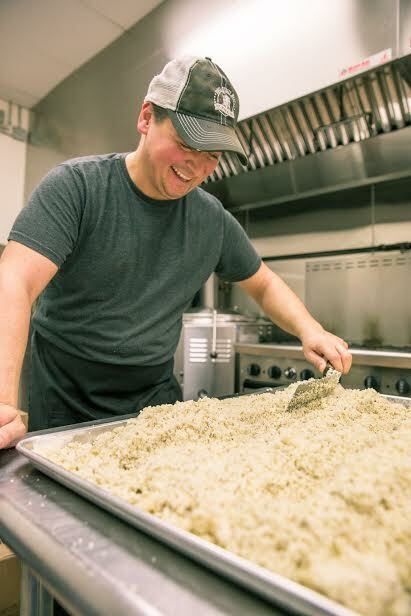 Now, sit tight while the votes are tallied, and stay tuned for an exclusive interview with the "winner" and the beginning of a pretty incredible trail of foodie love here in the Minnesota! 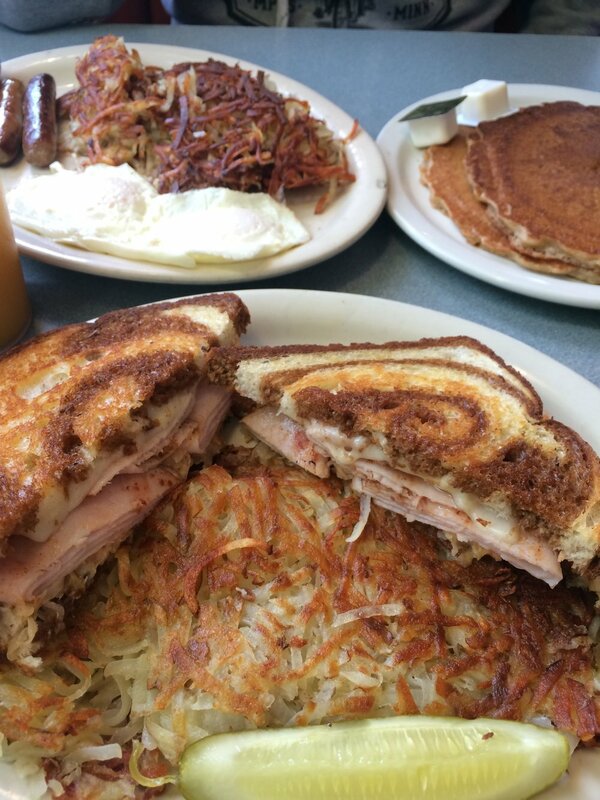 ATTENTION ALL TWIN CITIES FOOD LOVERS! 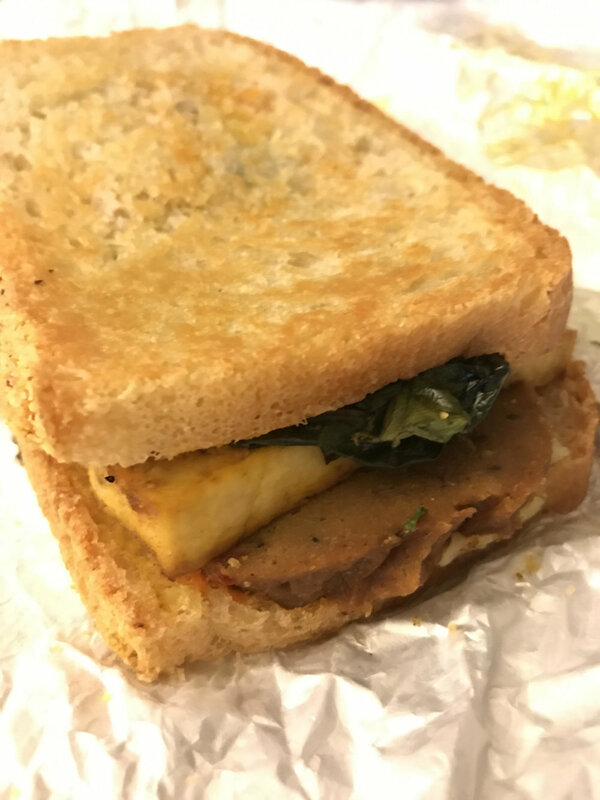 I'm launching a new series of posts called "Forward Eats MSP." Each post will highlight a product, business, or person that has left a strong influence on the "local" food scene in the Twin Cities. 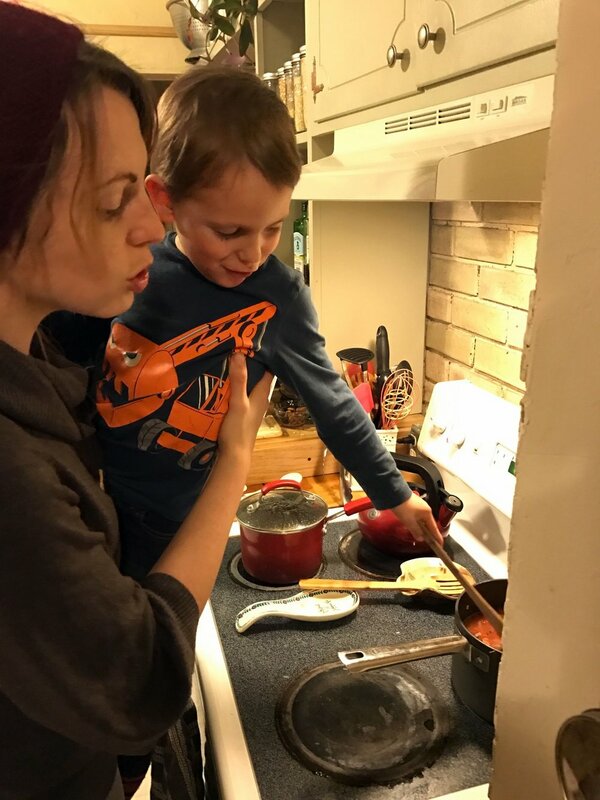 They may be influential because they are in some way sustainably-focused, particularly innovative, small-scale, delicious, or otherwise awesome. The highlighted product, business or person will then have the opportunity to nominate the candidate for my next similar Forward Eats feature, getting the opportunity to "pay" the local food love "forward." I'm excited to see where this trail of appreciation leads! YOU get to help me choose the FIRST EVER feature for Forward Eats MSP! Let me know...what is YOUR favorite restaurant, cafe, food truck, food, drink, market, or person that has left a mark on the Twin Cities' food scene in a big way? Leave a comment, message, email or text for me with your input. This means a lot to me! It's a project I've pursued casually for the last 5 years, so I'm excited to be sharing this pursuit with you in a more official way on my very own blog. 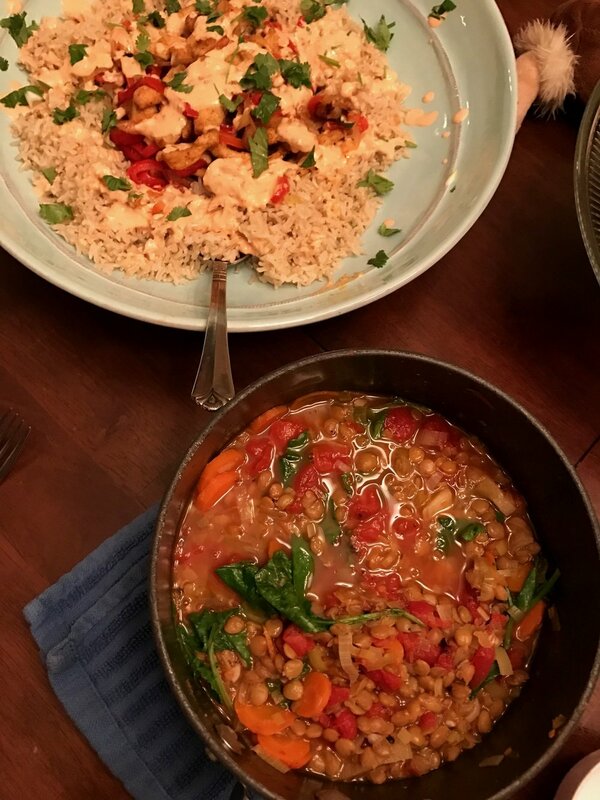 All feedback, thoughts, comments, food meetups, and general input are welcome and appreciated! Now, who will be featured first?! ?